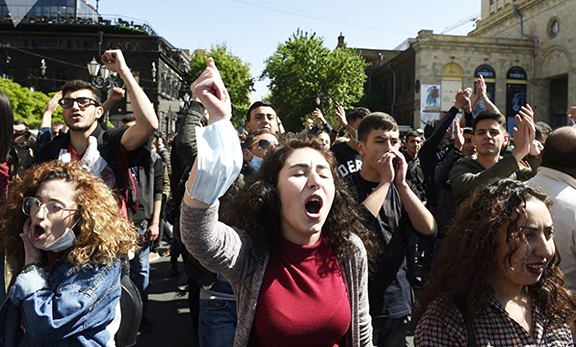 One day after finding Turkey guilty of not protecting the life and freedoms of Hrant Dink, the European Court of Human Rights began hearings on two separate cases Wednesday centering on the Nagorno-Karabakh conflict. The French, Russian and US co-chairmen of the OSCE Minsk Group visited Stepanakert Wednesday and met with Nagorno-Karabakh Republic leaders after taking part in a monitoring of the Karabakh-Azerbaijan frontlines. Successive U.S. Administrations – both Democratic and Republican – have, since Fiscal Year 1998, expended $25 million less in aid to Nagorno Karabakh than Congress intended, according to an Armenian National Committee of America (ANCA) review showing that less than $36 million of the $61 million slated by Congress for this purpose has actually been expended. Turkish President Abdullah Gul reaffirmed his country’s unconditional support for Azerbaijan in the Nagorno-Karabakh conflict and criticized international mediators ahead of a state visit to Baku that began on Monday, reported RFE/RL. Turkish President Abdullah Gul will pay an official two-day visit to Azerbaijan early next week, about a month before Turkey’s planned participation in a NATO exercise in Armenia. Father Land by Vahé and Ara Oshagan is a poetic and personal journey through the rugged, human-and-history-laden landscape of the mountainous Nagorno–Karabakh Republic. It is also a unique collaboration between a photographer son and his well–known, writer father. A family steeped in Armenian literature and art, Vahé and Ara Oshagan’s work is the result of an intensely felt connection to their heritage and homeland. Father Land is a literary and visual contemplation of Karabakh’s present–day, its history and its culture, as well as a meditation on transnational identity, land, and paternal bonds. Local Armenian National Committee of America activists met with US Representative Gary Miller (CA-42-R) this past Tuesday in his Brea, CA district office. Leading the meeting were Razmig Khayalian, a board member with the ANCA Orange County Chapter as well as Serouj Aprahamian and John Havoonjian, constituents of the Congressman. Joining them for the meeting were Jennifer Movsessian and Haig Hovsepian from the Armenian National Committee of America-Western Region office.